Some of the gang is preparing to leave for a long weekend while Bull is away. Meanwhile, Bull is back home to see the place where he grew up, his dad’s cabin that has been destroyed by a fire. He has Benny with him. After he meets a real estate agent, Benny and he take off to go to the local bar where Benny realizes Bull had quite a childhood when they run into men from his past who have nothing but attitude and rude words. Benny realizes that he and Bull aren’t going fishing. They are there to find the arsonist. They zero in on their 1st suspect. A young kid who doesn’t have an alibi and is known for his loner reputation. Bull decides that they both have something to prove to the town he grew up in and Benny is going to help them. Bull also calls on the gang, who give up their weekend to visit Bull’s hometown. They plan on getting the young outcast, Peter, off the hook for 2nd degree murder and arson charges. Chunk gets him ready for trial with a nice suit. On to the jury process. Benny addresses the panel, asking a round of revealing questions to strike the ones that Bull sees as a threat. Danny and Bull go over the investigation done by the authorities. Nothing adds up. Meanwhile, Benny is out fishing. He can’t find his way in the woods with Chunk. The two get lost. Bull has to fill in as Peter’s lawyer. Bull questions the fire chief, who never liked his father. Bull angers the chief when he asks about the lack of evidence when it comes to accelerant. The chief lets his hate for Bull shine through on the stand. The scene upsets Peter. He thinks Bull took his case to get even with the chief. Bull tells Peter that his dad swindled the town and that’s why he is a hated. He became an outcast and moved out of the town in the middle of the night. Marissa goes shooting with Joyce. She gets some insight on the jury and how to win them over. She returns to tell Bull and Cable. Bull tells them the story of his father stealing $500. He never trusted him again. Danny enters to tell the team that she thinks a fire fighter is behind the arson. Bull and Danny head down to the local bar where the chief and his crew are playing cards and drinking. They exchange a few words and Bull knows he is bluffing. Peter gets on the stand. When he is questioned and gets upset, Bull’s words hit him – remember a blues rift. Peter loves music. The advice helps him show the jury why he still lives in town and that he isn’t an arsonist. 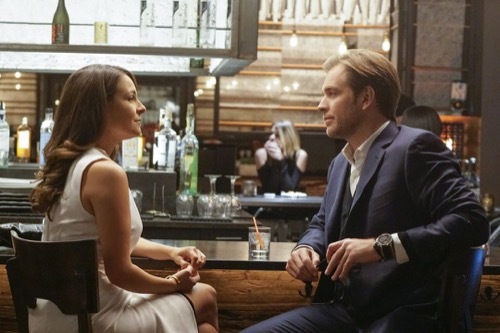 Bull plays a little game by giving Joyce a taste of her own medicine by starting some gossip in town. The locals look on, curious. The next day, Benny tells a tale of how a piece of gossip can destroy anything and everyone while addressing the jury. Benny points out Bull’s scheme to show how gossip can destroy a town. Peter is an example of that. The jury finds Peter not-guilty on both counts. Peter is speechless. Bull wants an electric shovel. The chief approaches Bull. He went through the evidence. It was one of his own men. The chief found Bull’s $500 in a safety deposit box in the rumble of Bull’s father’s cabin. The two make amends. Bull doesn’t think the man the chief pinned for the arson is the right guy. He knows who did it – it was Joyce! Bull finds closure. The team sit around the fire and enjoy their success.